Every day you get tens, hundreds or thousands of visits to your website. You work hard on social media marketing, guest posting, and maybe even paid advertising to increase those numbers month after month. “Get in front of more eyeballs” is a basic principle we’re taught from Day One of building our online businesses. I’m not going to say that getting more traffic is easy, but it’s certainly do-able. 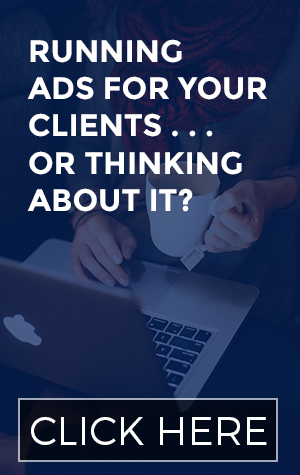 If all you want is clicks to your website, Facebook ads can actually be really cheap. But that’s not what I want for you. The truth is that traffic alone doesn’t matter, regardless of how targeted it is. You should be far more concerned with what those people visiting your site are doing. Are they converting to subscribers or customers? Because THAT’S what I want for you: more conversions. Before you even THINK about traffic, make sure your landing page is optimized for conversions. 1. 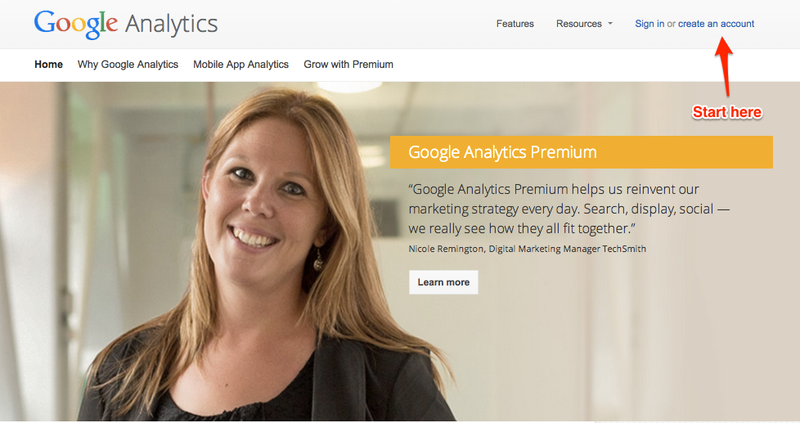 Sign up for your account at google.com/analytics. 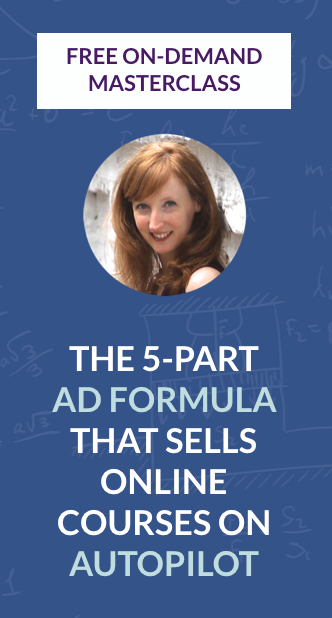 Have you ever run Facebook ads that got lots of conversions only to find just a handful of new people on your list? WTF? Kind of feels like Facebook is screwing you, right? Someone clicks on your ad and heads to your landing page. She likes what she sees and opts in to receive your free content. Facebook counts this as a conversion since she gets directed to your “thank you” page. This is where, per my instructions, you added your conversion tracking pixel. Her landing on this page triggers the conversion for your ad. Because of the way most email providers are set up, she needs to confirm her subscription before she’s added to your list. This is where the disconnect happens. Your automatic “please confirm your subscription” email is a) left unopened, b) ignored or c) never seen. That person doesn’t confirm her subscription and so she’s never added to your list. Bummer. You may be surprised. Based on the tracking I’ve set up, about 20-25% of people who sign up for my free guide to Facebook ads don’t confirm their subscriptions. That percentage tends to jump when I look at traffic that comes directly from Facebook ads. It’s frustrating, but also a part of building your list. Some people simply don’t want to get more emails, so they’d rather miss out on your free content than confirm their email. But don’t worry – I’m about to show you how to reduce the number of people who don’t confirm. I’m always encouraging my Absolute FB Ads crew to use their ads to test out different ideas. Instead of asking, “Which set of ad copy will work better?” or “Which image do you think people will respond to more?” you can let Facebook figure it out for you! When you run more than one ad at the same time, Facebook pays attention to which ad performs better (e.g. which one gets a higher CTR, lower cost-per-conversion, etc.). When it sees that there’s a clear winner, Facebook stops showing all your ads but that one. This is why I recommend that you don’t run more than 2 or 3 ads at the same time. You may have created an awesome ad that people respond well to, but it doesn’t get shown because another ad got more results more quickly. What other test can I set up today in my business? Truth be told, every single new thing we do as entrepreneurs is a test: each strategy, product, service, and design is something we put out into the world to see if we can get equal or better results than the last thing. But there are certain tests that can directly impact how much revenue your business brings in. And I like to do them in the most fantastically mathematical way possible: A/B testing (sometimes known as split testing). Everybody knows somebody just like this. She’s glowing on the outside, all put together and eternally positive. Her business is KILLING IT. And not just because her blog looks so good and she’s obviously invested money in professional design and content. That too, but you’ve had an inside look. You know about her numbers. Seriously raking it in. And yet . . . something’s missing. You haven’t got a clue about it – why would you? It’s the kind of thing people don’t talk about. You’re right, you’re right – I should be fair. She’s not illiterate, just not winning any data-driven spelling bees. I have one of those friends, and I still can’t completely wrap my brain around it. This lady’s been in business for a few years, taking an offline venture online about 2 years ago. She’s got a beautiful website site, truly astounding products, and some blog posts that will literally change your life. Needless to say I was thrilled to start working with her. So we’re strategizing for her next launch, talking about what’s already working so we could build on that. I head into her Google Analytics account to try to see where the people who ended up buying from her were coming from. It’s one of my favorite things about Google Analytics – there’s great information about what your visitors do right before they become customers! But no. There was no data for me to dig my teeth into. Why? Because she didn’t know how to set up Goals in Google Analytics. Yes, I could look at how visitors were finding her site in general terms, but that can only take you so far! It’s really common to get a lot of traffic from a specific source (like Facebook, for example) but those people don’t end up buying from you. It’s not always Facebook, but it typically happens. If you don’t have Goals set up, there’s a lot of info you’re missing out on. The biggest problem, though, is that you can’t see what websites or sources (social or otherwise) are making you the most money. And when it comes to upping your game and taking a good thing (your business) and making it brilliant, this is THE piece of information you need act on. The url of the “thank you” page for this specific conversion. Go and opt-in to your own newsletter, or do a test purchase of your product. Now look at the url of the thank you page – is it one of YOUR pages, a page on your website? If so, skip right to the video below because you’re good to go. Or is your thank you page on a Mailchimp, Aweber, or other external domain page? If this is the case of your thank you page, do not despair. You can throw together a super-simple page in 5 minutes on WordPress. All you need is some copy that says “thanks!” and maybe a reminder to check their email or whatever next action they need to take. Once you’ve got that page together, make sure your Mailchimp or Paypal or whoever’s involved send people to that page after the opt-in or purchase and not some other page on their domain. Mark your calendar for 1 week from now and come back here to this blog post (paste the link in the calendar reminder so that it’s easy to access). Follow my instructions in the video to make sure you can see that info about where your conversions are coming from. Got any questions for me? Having any trouble getting your Goals set up? 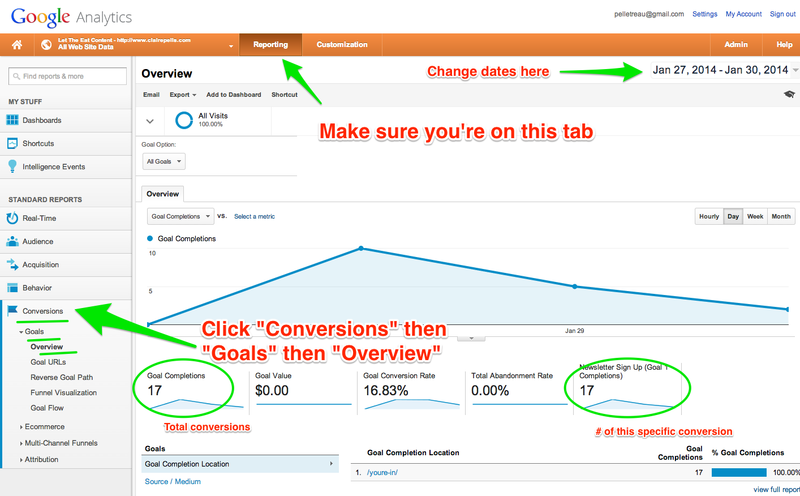 Not sure which conversions you need to be tracking?